The PL1 Ikari character keeps going up on its own when I start a game, the PL2 Ikari is fine. Looked at my rotary stick, could not see any problems, so I disconnected the sticks from the PCB. The PL1 Ikari character was still going up on its own. 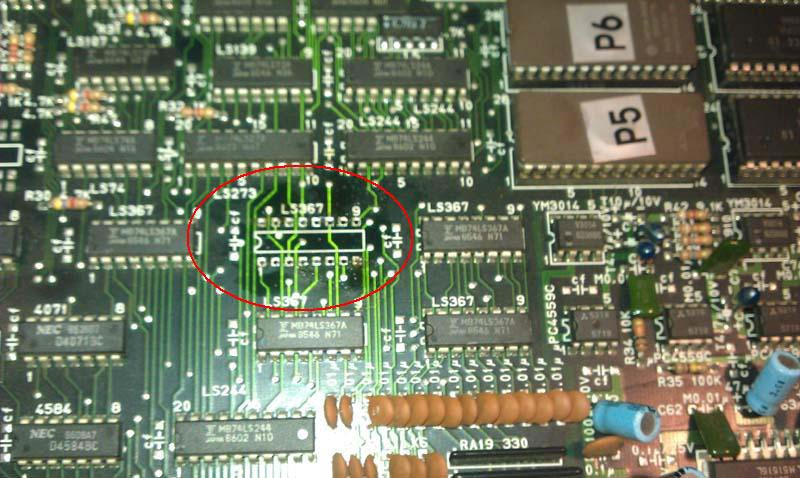 Next I looked at the SNK to JAMMA adaptor, saw no problems here, the fault must be on the PCB. 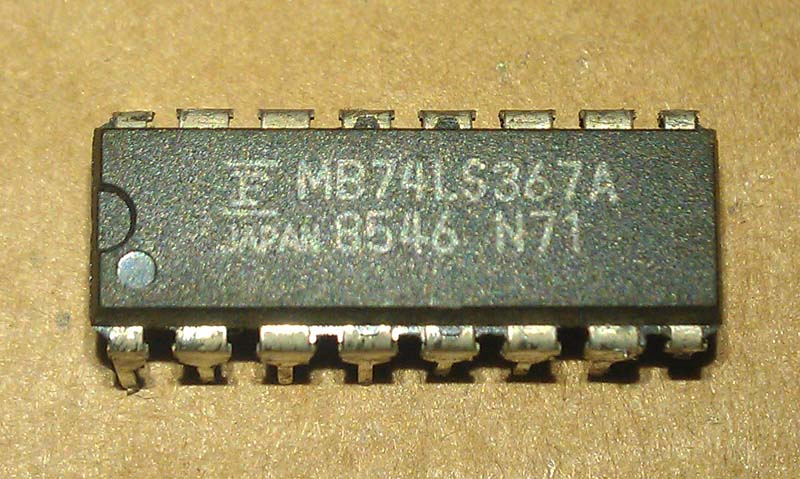 The PCB is an original SNK three layer PCB set, and uses SNK pinout. I determined which pin on the edge connector was used for PL1 UP, and traced it back to a SIL resistor array, followed it through a 0.1uf ceramic capacitor where it went to a Hex Buffer 74LS367 at location D4 on the top layer of the PCB stack which handles the joystick inputs. Bought out the logic probe, and found that Pin 2 (output) on the Hex Buffer was dead. Desoldered it and put the Hex Buffer into my IC Tester which confirmed that Pin 2 had failed test. Soldered in a new 74LS367 Hex Buffer, all working great now, PL1 Ikari no longer has suicidal tendencies.